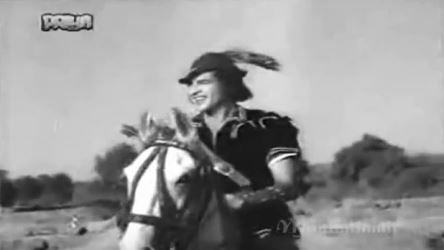 One would’ve thought a blog dedicated largely to old Hindi cinema would milk Valentine’s Day for all it’s worth; after all, the number of old Hindi films that didn’t feature a romance of some sort, of some duration, can almost be counted on the fingers of one hand. True, the romance may end in tragedy; it may come up against one obstacle or the other; there may be misunderstandings galore—but romance and Hindi cinema did go hand in hand (still do, to a large extent). So a Valentine’s Day-themed post is pretty much de rigueur. This year, after having dilly-dallied and wondered whether I should try a ‘romantic songs’ list, I decided I should. 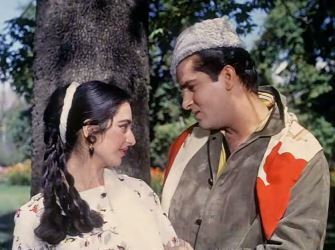 And, oddly enough, all the romantic songs that kept occurring to me—the ones which immediately popped into my head and kept playing—were of Shammi Kapoor lip-synching to Rafi. Too easy. So I decided to go a different route: ten romantic duets (yes, there’s still a good bit of Shammi Kapoor here, but not completely).